Fall in the (h)air! Time to bring on the football games and school spirit days! 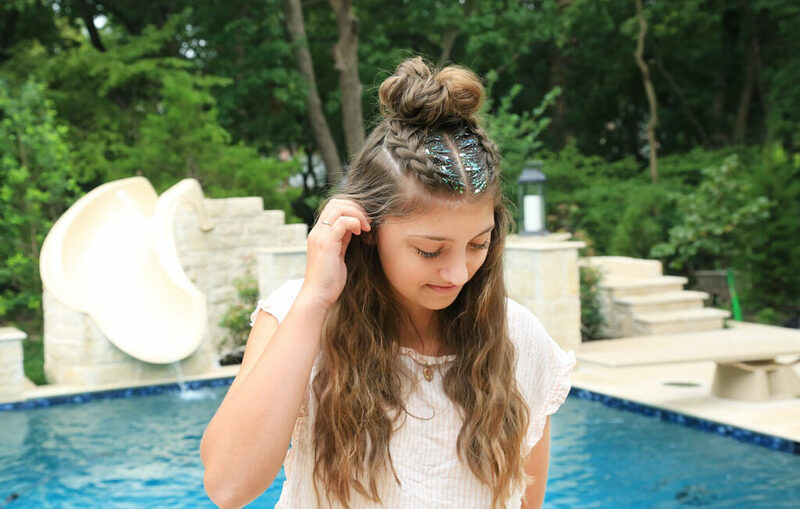 Check out 3 of my favorite hairstyle to show your school spirit! 1- Glitter Roots: Looking for a cute hairstyle for the football game? Then this is the look for you. This is the perfect way to add a pop of color. Plus it’s super easy to wash out! 2- Braided Bun with Ribbon: Ever have one of those mornings when your kids tell you it’s spirit day just before its time to leave for school? Well, this hairstyle will definitely save the day! 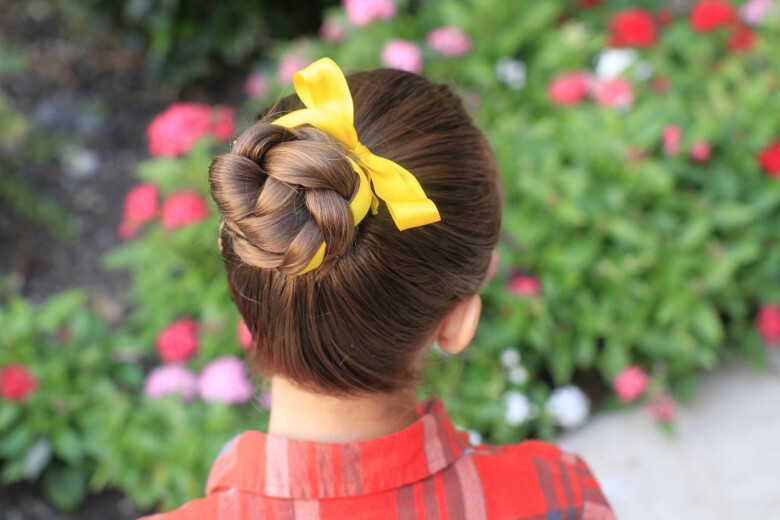 Just grabs some ribbon that’s school colors and braid it into the bun, and it only takes 5 minutes or less. 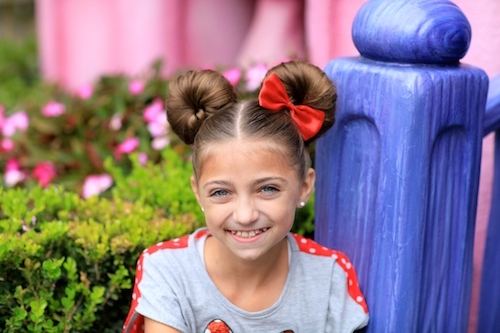 3- Minnie Mouse Buns: My family is OBSESSED with all things Disney! This is a perfect hairstyle for the littles. Plus it’s absolutely adorable! I recommend adding a bow that matches school colors, and you’ll be all set!